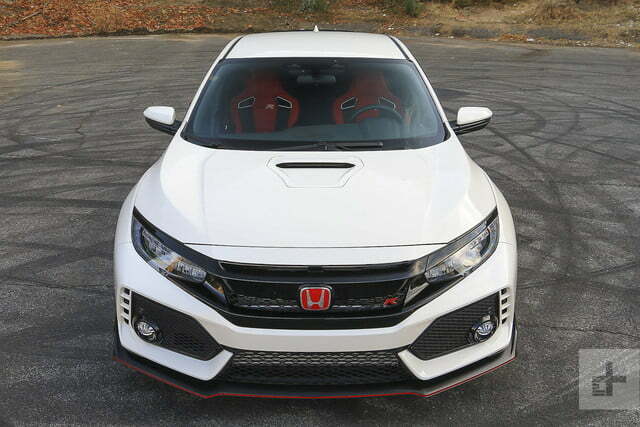 Honda returns to the high performance in rare form with the 2017 Civic Type R.
After taking some time off to focus on its volume sellers, Honda its own unique flavor of high performance back into the mainstream. More importantly for U.S.-based enthusiasts, this marks the first time a Type R-badged Honda has been sold in North America, and this track-tuned iteration of the Civic serves as the most potent performance machine in Honda’s current lineup. 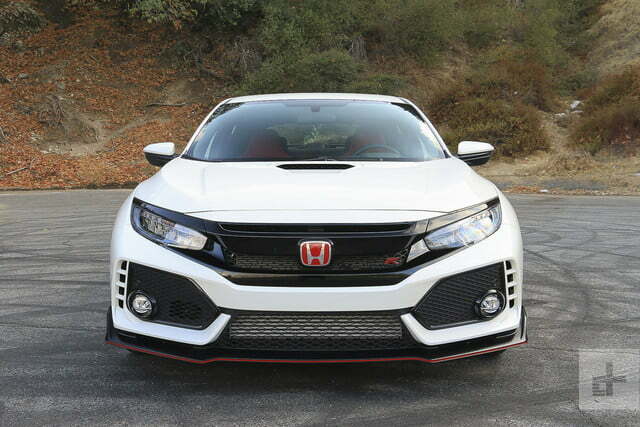 The tenth generation of the automaker’s affordable runabout had already shown some promise in the Sport and Si trims, but the Type R looks to ratchet things up significantly, both in terms of the visual drama and the capability on tap. 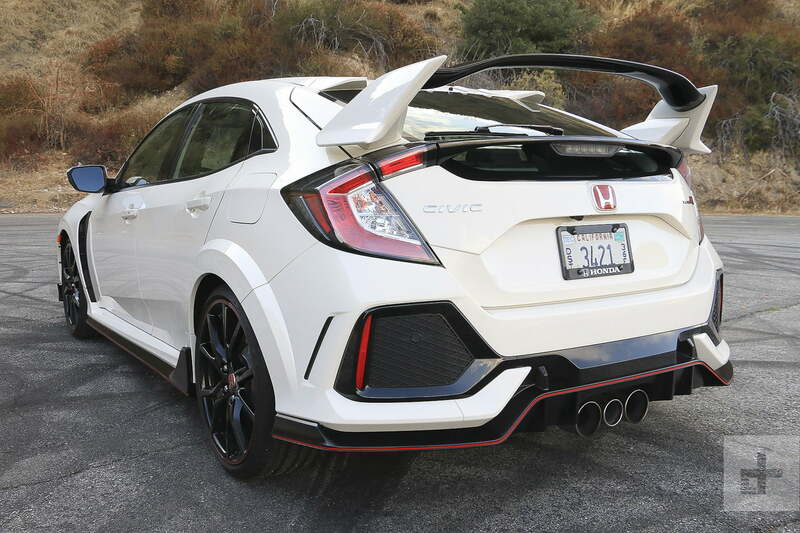 But there’s been some concern in recent years that Honda had lost interest in developing a worthy contender in the hot hatch segment, a space that’s already populated by worthy entries like the Ford Focus RS and Volkswagen Golf R. Can Honda’s latest red-badged Civic hold its own against those established commodities? 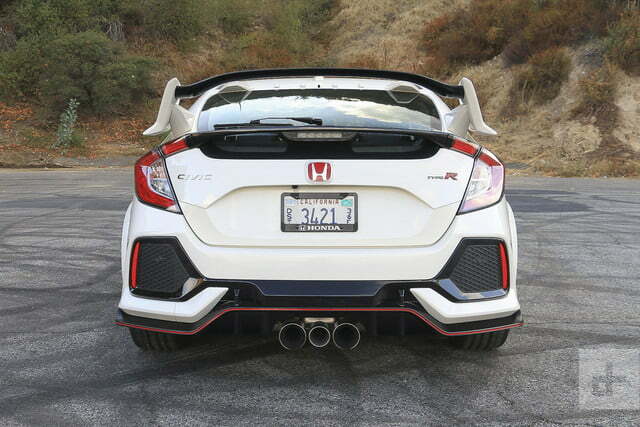 We spent a week with the Civic Type R on the streets and back roads of Los Angeles to find out. 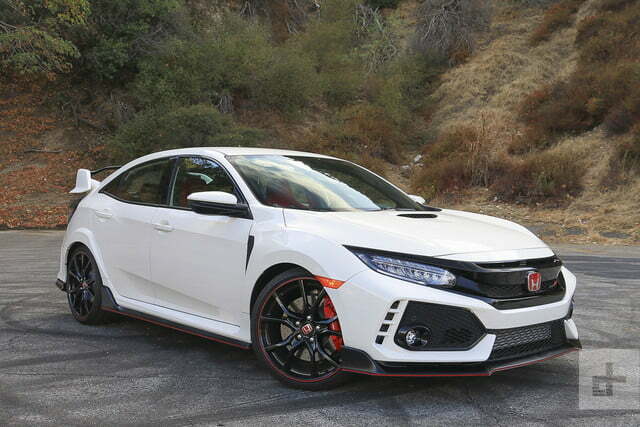 As America’s first-ever Civic Type R, this version of Honda’s five-door hatchback sits at the of the company’s performance totem pole and is motivated by a warmed-over version of the automaker’s turbocharged 2.0-liter four cylinder motor that’s been tuned to deliver 306 horsepower and 295 pound-feet of torque, the latter of which comes in at 2,500 rpm and stays flat until roughly 4,500 revs. That grunt is routed to the front wheels through a helical limited-slip differential, while shifting duties are dispatched exclusively through a six-speed manual gearbox with automatic rev-matching capability. 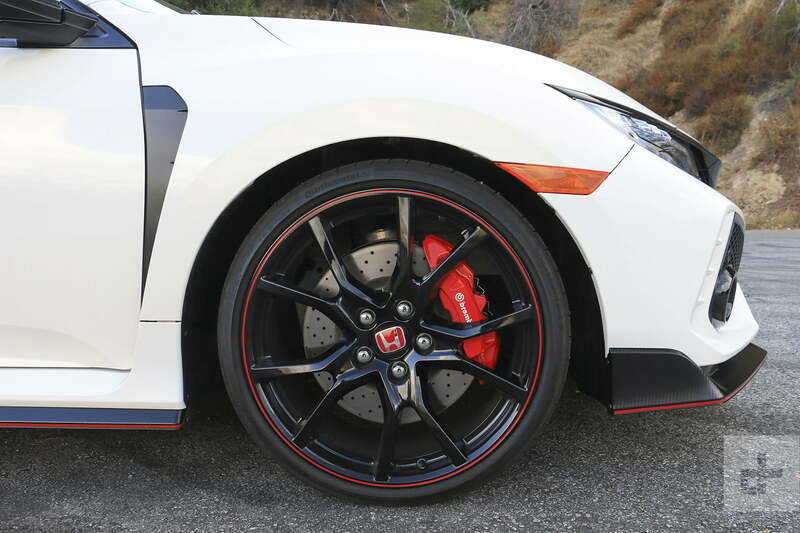 Along with a healthy dose of go-fast hardware, the Type R gets a thorough visual reworking with an emphasis on aggressive visual presentation, functional aerodynamics and enhanced cooling. 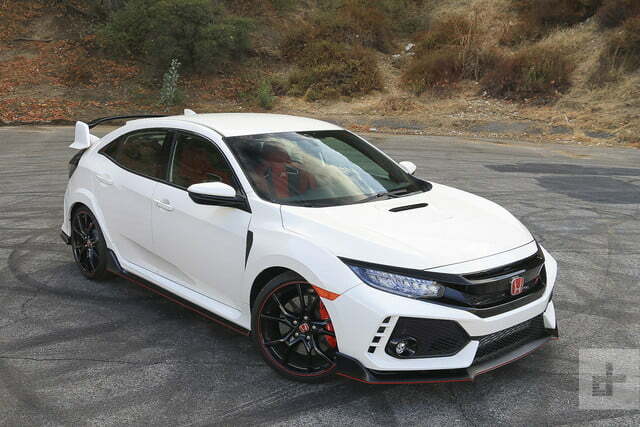 One important element that distinguishes the Civic Type R from the rest of its competitive set is the fact that the car comes standard with literally every feature available on the model. 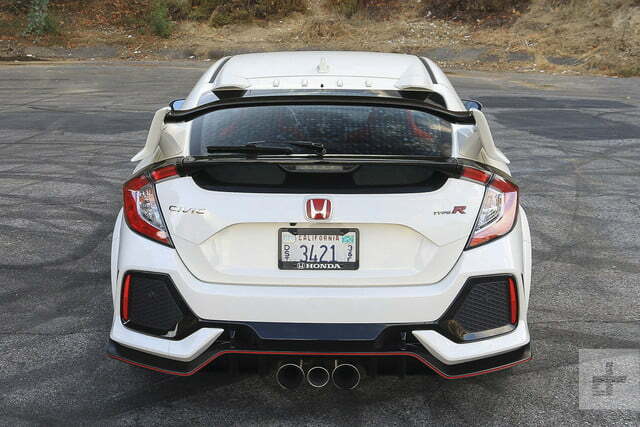 There were countless ways Honda could have gotten the Civic Type R wrong, but it avoided just about all of them. 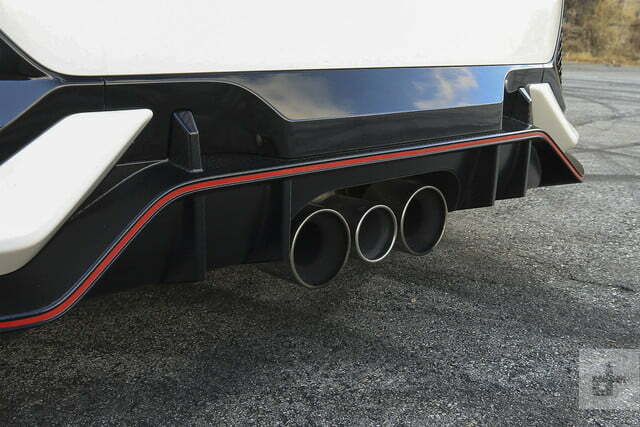 That means that equipment you’d normally find as optional upgrades – the big Brembo brakes up front, the adaptive suspension, the Recaro-style front seats, and the specially-developed Continental Sport summer tires that are wrapped around unique 20-inch alloys – all come as part of the base price of the car. 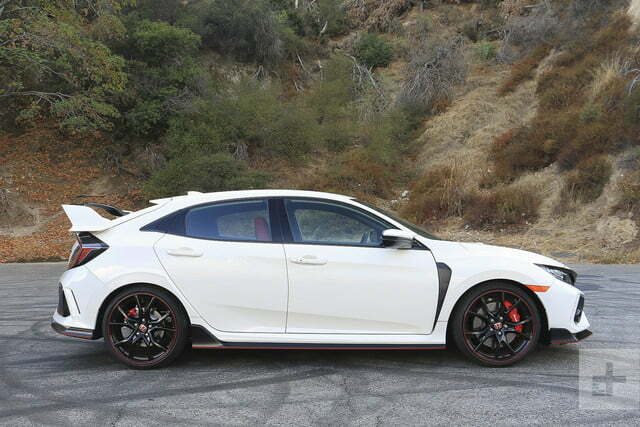 Also on hand in the Civic Type R is a seven-inch touchscreen infotainment system with navigation, Apple CarPlay, and Android Auto functionality, which belts out the tunes through a 12-speaker, 540-watt audio system. Along with the eye-catching sport seats, the interior gets some additional performance creditably by way of an aluminum shift knob, a flat-bottomed steering wheel, and red accents throughout. While the infotainment system does sport some important features like the aforementioned mobile interfaces along with Sirius XM, Pandora, and a dozen speakers to work with, there’s still some room for improvement here. 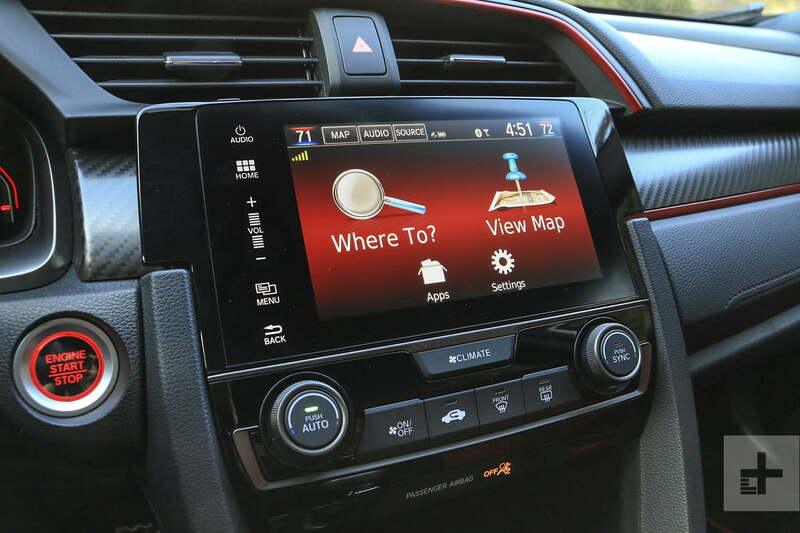 The lack of a volume knob is an annoyance that Honda seems to be addressing ad-hoc amongst the various models in its lineup, and Civic’s infotainment system remains free of physical knobs and buttons on the unit itself. It’s easy enough for the driver to handle this through the steering wheel controls, but the passenger is still left to deal with this Cadillac CUE-like interface burden, while the sonic output from the premium audio system is also a bit underwhelming. The hardware powering the infotainment system seems up to the job though, and it moves through its various menu functions without much fuss. 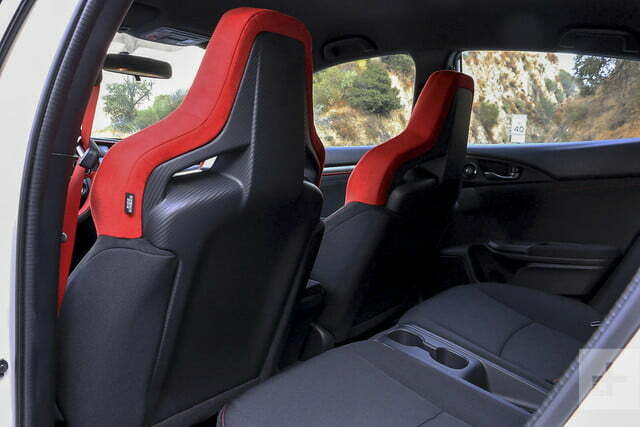 With the bright red trim and aggressively bolstered seats greeting first-time occupants, one might expect the Civic Type R to be a high performance crucible, but what’s surprising is how hospitable the cabin is once you’ve settled in. 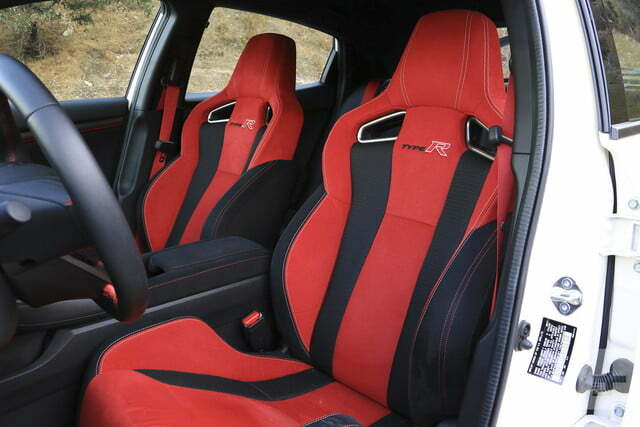 While the seats are legitimately performance-focused – replete with racing harness cut-outs – and do a great job of holding one in place during spirited driving, they’re also quite comfortable for extended stints behind the wheel, and look great wrapped in the high-quality cowhide that Honda used. 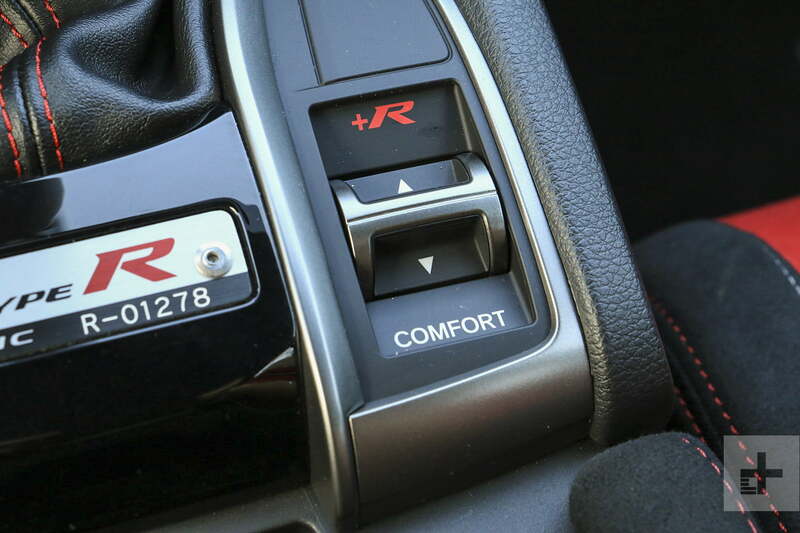 Though most of the interior is typical tenth-generation Civic fare, there are a few elements that make this car feel special, like the serialized placard on the center console and the drive mode toggle switch next to it that’s adorned with a bright red +R logo. 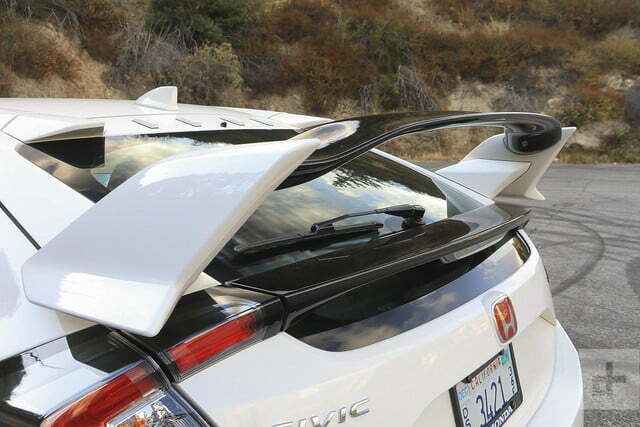 Overall, the cabin’s functional simplicity works quite well with the performance mission of the Type R, and none of the practicality offered in the standard five-door Civic is lost in the process. 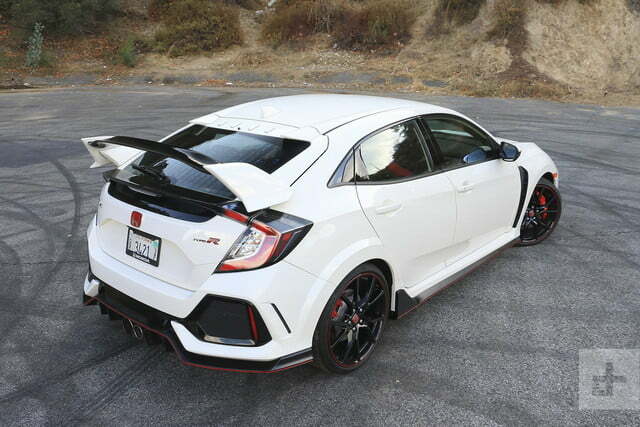 There were countless ways that Honda could have gotten the Civic Type R wrong, but it seems to have avoided just about all of them. 300+ horsepower sent through the front wheels shouldn’t work but it does, and there’s virtually no torque steer to be found anywhere. 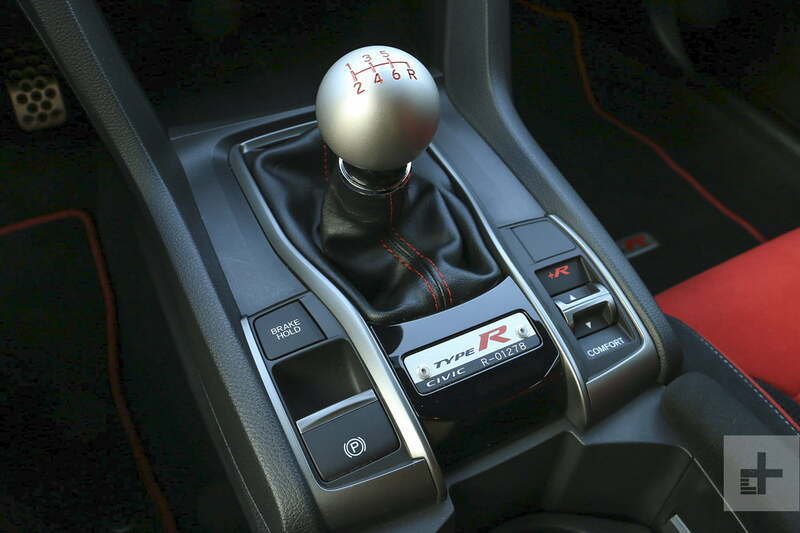 With the Civic Type R’s track-focused tuning we’d probably have forgiven Honda for a punishing ride, but the three-mode adaptive damping system has been masterfully executed here, with Comfort mode providing smooth traveling during commutes over less-than-perfect pavement and Sport mode provides a happy medium between compliance and responsiveness. +R mode (better known as Track mode in common parlance) delivers the kind of flat cornering and dive-less braking you’d expect from a car tuned for track duty. 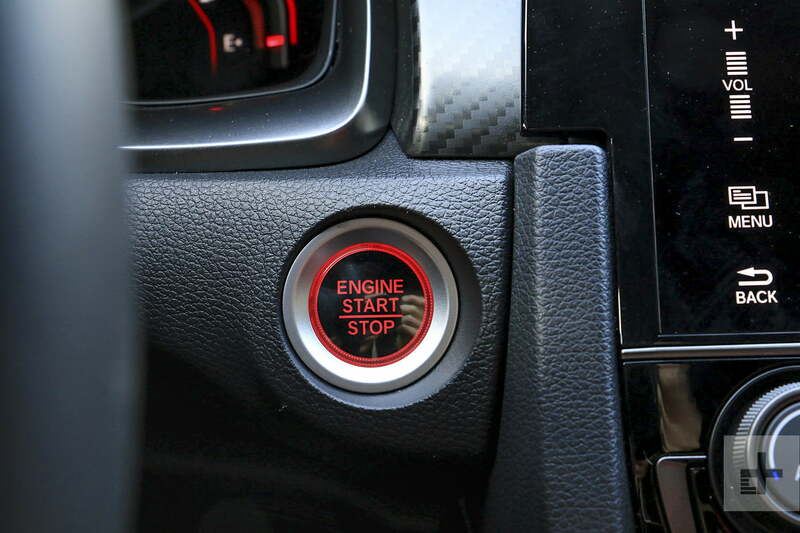 All of these modes also adjust the throttle sensitively and steering weight along with the suspension, so each feels distinct, both from the feel of driver inputs and the car’s behavior to them. The performance is also easily accessed and gratifying when put into use, with a well-weighted clutch and precise shifter making a row through the gears a joy rather than a task, regardless of whether you opt to use the auto rev-matching feature or not. While the Civic Si’s optional Goodyear Eagle F1 summer tires still left us longing for more grip when cornering and scrubbing off speed, you’ll get no gripes from us about the 245mm Continentals equipped here on the Type R, and stomping on the reassuringly firm brake pedal summons those Brembo stoppers to slow things down with serious haste. 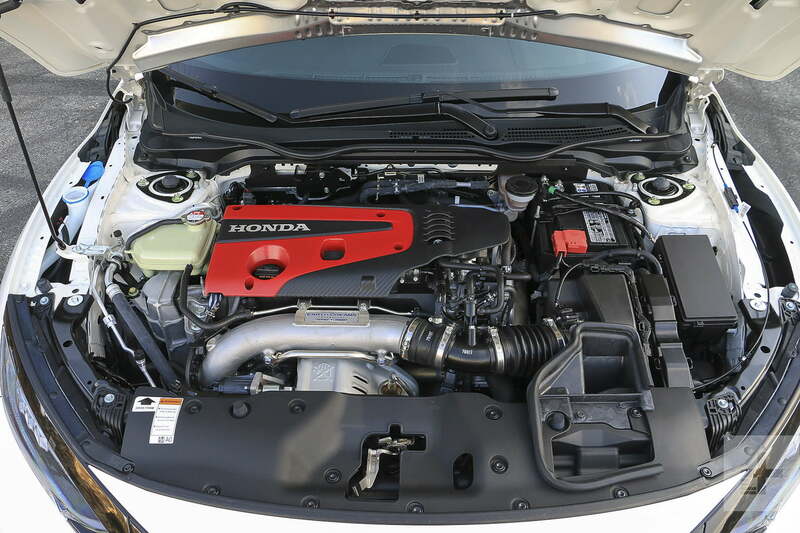 At roughly 3,100 pounds, the Type R feels tossable, eager to respond to driver inputs, and do what it was designed to do. However, despite Honda’s assertion that the motor’s peak torque comes in at just 2,500 rpm, there were times when overtaking slower traffic that it took a breath or two for boost to come in and push the car along with the expected urgency. With that said, at full wick the turbocharged 2.0-liter four cylinder pulls with more than enough gusto to make this car very entertaining to drive, and it’s worth remembering that this motor powered the Type R to become the front-wheel-drive production car lap record holder at the Nürburgring earlier this year. 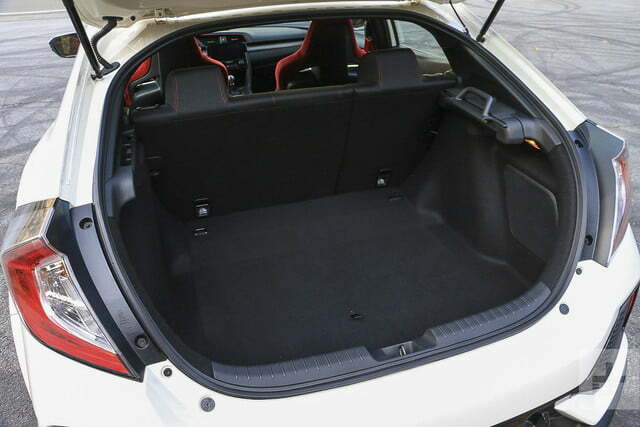 The Civic Type R is equipped with front and side airbags for the driver and passenger, side curtain airbags, LED daytime running lights, and other active and passive safety features found on standard Civic models. The 2017 Civic is an IIHS Top Safety Pick and has received a five-star overall safety rating from the National Highway Traffic Safety Administration. Simply put, this car is dialed in – it’s is a blast to drive spiritedly and effortless to pilot casually. At $34,775 including destination and handling, it undercuts cars like the Ford Focus RS, Subaru WRX STI and Volkswagen Golf R by roughly 20 percent while delivering very little compromise in terms of performance, functionality, and build quality. The Focus might be quicker and the Golf R more refined, but neither can touch the value proposition offered by the Civic Type R.
The styling might not be for everyone, but it’s also not by accident. Honda is back in the business of making fun, fast, and affordable cars, and it’s clear they’re going to do it in their own distinctive way. If that suits you, you’re in for a great time with the 2017 Civic Type R.